Valiant Comics & September 2019 Solicitations Spoilers: Ahead Of Vin Diesel Bloodshot Movie, Bloodshot Comics Series Gets Relaunched With All-Star Creative Team! Batman / Superman Spoilers: Which Forever Evil / Villains Month 3D Leads Have Counterparts On Earth 2? What About Doomsday? Teen Titans #0 Spoilers: All About Red Robin, But Who Is Tim Drake & What Does Batman Know? SDCC 2012 Tidbits: Teen Titans Reboot Detailed & Tim Drake’s Batman & Robin Days Rebooted Too? The record is set straight in the New 52. 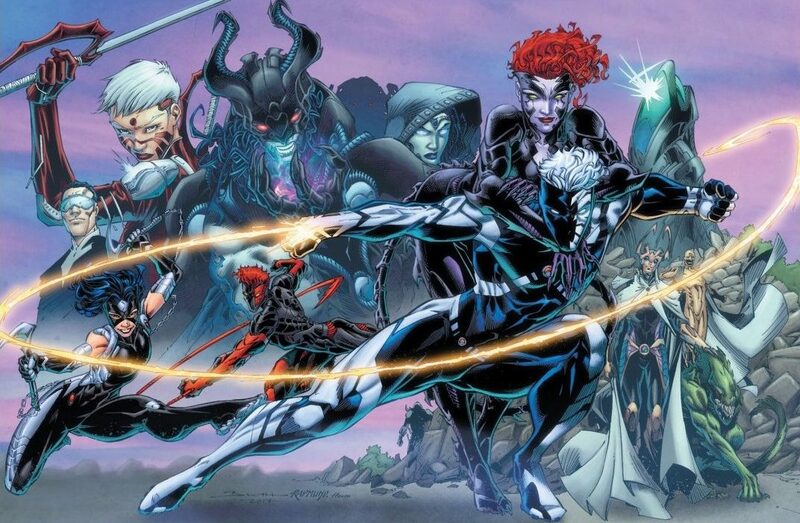 SDCC 2012 Tidbits: Teen Titans Gets More Girl Power & A DC Comics New 52 Wave Four Spin-Off? Big things popp'n in SDCC? The Teen Titans finally come together just in time to deal with a dangerous new villain. Spoiler: What is Detective Lure’s Secret in Teen Titans #6? Detective Jocelyn Lure has a secret! Spoiler: Who Builds Kid Flash a New Costume in Teen Titans #6? A surprise guest star saves Kid Flash's life! UPDATED. Red Robin, Red Hood, and Nightwing take centre stage in their respective books with different aspects of Batman percolating to the surface.